Please come to the first PTA Meeting of 2012, on the topic of "Health-Partnering with your Adolescent: A Field Guide to the Unmet Health Care Needs of Adolescents and How to Support Them." 7 pm, Wed, January 25, Auditorium. The meeting will feature a multidisciplinary panel of specialists in adolescent medicine, clinical psychology and health education. Through individual presentations followed by a roundtable discussion, we will explore the risks and realities our sons and daughters face as they navigate early and middle adolescence, from those which are behavior-driven to body image and emotional struggles, with a focus on practical skills and strategies in parental communication, connection and support. Click here for bios of the five expert speakers. 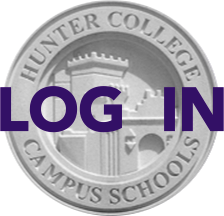 Please send your questions in advance to programming@hunterpta.org.